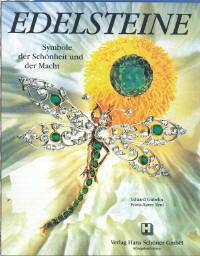 Eduard Gübelin offers the reader a deep insight into the fascinating world of gemstones. 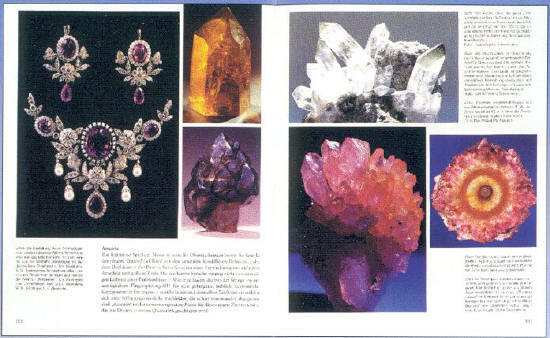 The book provides an exact description of the individual gems and goes into their origins and their extraction. Franz Xaver Erni offers the reader a spellbinding tale of how gemstones have loyally accompanied humas throughout history. Throughout the ages, individual gems have been allocated to the months of the year and to the signs of the zodiac and imbued with special healing powers in popular imaginatin. This book offers qualified answers to all questions relating to gemstones. It is not only an exciting read but also a reference work that can be consulted as required. 9 3/8 x 11 5/8 in. Dr. Eduard J. Gübelin is one of the foremost gemologists in the world. Gübelin was the first to establish a systematic classification of inclusions. He has published several books about gemstones. For his voluminous contribution to gemology, he received several awards. In recognition of his promoting gemology, he was received the Médaille de Ville de Paris in 1993. Dr. Franz-Xaver Erni is a freelance journalist (PEN). He was awarded his doctorate in the field of philosophy. He was in charge of various magazines as the editor-in-chief and has also been writing on gemological topics for many years. He received the "Plume d'or" for his contribution "The Color and Purity of Diamonds".